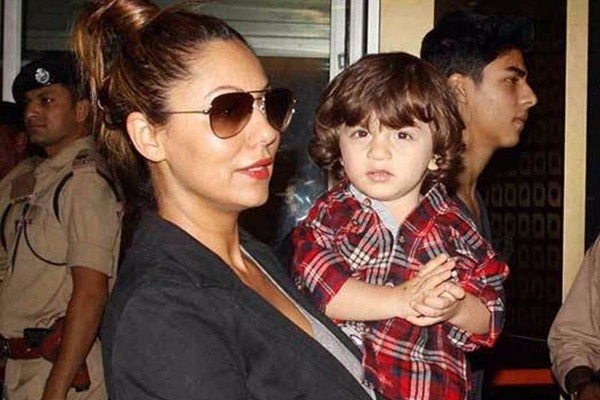 This Picture Of Shah Rukh Khan’s Son AbRam Posing With Mom Gauri Khan Is Too Adorable To Miss! Bollywood actor Shah Rukh Khan’s son AbRam is too cute to ignore. Be it at IPL to support KKR or on a holiday with papa Shah Rukh Khan, AbRam has always grabbed our attention. The adorable munchkin is once again in the news for his cute pictures with mom Gauri Khan. The beautiful picture sees mother-son duo standing at KJo’s newly renovated terrace that has been designed by Gauri Khan. SRK’s wife Gauri Khan had also designed the nursery of Karan’s twins Yash and Roohi. Well, Karan Johar is known to launch many star kids and seems he is taking the same liking towards little AbRam also. Recently in an interview, Karan had also said that if he will have to launch Shah Rukh Khan’s son in a film, he will have no second thoughts. Before AbRam, we are surely eyeing at elder son Aryan making his debut soon in Bollywood. Previous : Gundagardi Hai Bus: Sonu Nigam Slammed For His Controversial Tweets Against Muslims and Azaan!